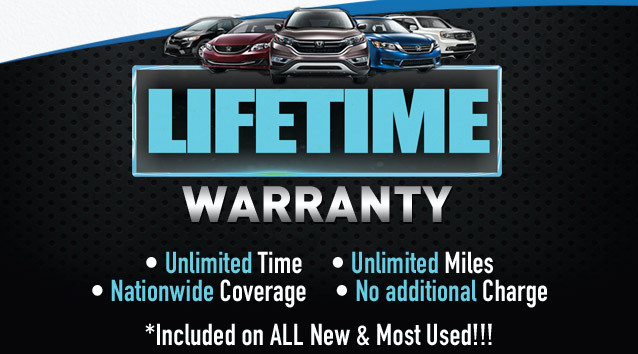 Klein Honda of Everett is a 2019 Honda Dealer in Everett that’s positioned to give you all the help you’ll need in selecting which 2019 Honda vehicle you’ll want to buy. If there’s anything you’ll want help from a 2019 Honda Dealer in Everett with, it’s getting a hybrid. Hybrids (and other green vehicles) are eligible for many kinds of government tax breaks and rebates, as well as privileges that conventional gas vehicles aren’t afforded. Some states allow hybrids to use the HOV lane with no passengers, while other hybrids are exempt from needing to get smog checks. If you’re thinking of switching to a hybrid, the Insight is all new this year, and offers excellent fuel economy, combined with great style. The Insight’s plush cabin (with available leather interior, as well as seven-inch TFT display in the instrument cluster) is comfortable, and the rear seats across all levels can fold down to accommodate additional items, in case you need more than just the 15-cubic-foot trunk. The two-motor hybrid system (combined with an Atkinson-cycle 1.5 liter four-cylinder engine) puts out 151-horsepower and 197 lb-feet of torque, offering an excellent power-to-weight ratio for its class. The Honda Ridgeline is in its second generation, and is an innovative mid-size truck, and—as any 2019 Honda Dealer in Everett would tell you—Honda’s only truck offer. This year’s Ridgeline carries over from the previous model year, but it adds a few bells and whistles. Two USB ports are now standard on RT, Sport, and RTL models, and features such as blind spot information, Honda LaneWatch, HondaLink technology, and an option for leather interior with a ten-way power-adjustable driver’s seat, including lumbar support. The Ridgeline is a unique truck, in that it is built on a car-like unibody platform. 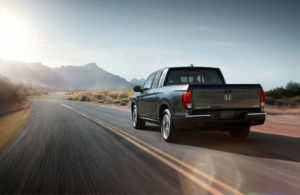 This results in a smoother ride, even if it means that the Ridgeline can’t tow as much as other mid-size trucks. It offers exclusive features such as a liftgate that swings out like a door or down like a conventional liftgate; an in-bed audio system; and an in-bed lockable trunk that accommodates up to 7.3 cubic feet of additional cargo and can also be used as a cooler then drained. Klein Honda is a capable, helpful 2019 Honda Dealer in Everett. If you want to test-drive one of Honda’s newest vehicles, visit our location at 10611 Evergreen Way to talk to one of our sales representatives.